PLEASE READ THESE TERMS AND CONDITIONS OF USE CAREFULLY BEFORE SIGNING UP TO OUR PAYMENT PLANS. This website and its contents and our events are the copyright of Shamanic Dragon PTY LTD – © 2019. All rights reserved. We reserve the right to change, modify, add or remove portions of these terms at any time. Please check these terms regularly prior to using our website to ensure you are aware of any changes. We will endeavour to highlight any significant or substantive changes to you where possible. If you choose to use our website then we will regard that use as conclusive evidence of your agreement and acceptance that these terms govern your and Shamanic Dragon’s rights and obligations to each other. It is an essential pre-condition to you using our website that you agree and accept that Shamanic Dragon is not legally responsible for any loss or damage you might suffer related to your use of the website, whether from errors or from omissions in our documents or information, any goods or services we may offer or from any other use of the website. This includes your use or reliance on any third party content, links, comments or advertisements. Your use of, or reliance on, any information or materials on this website is entirely at your own risk, for which we shall not be liable. For the purposes of Schedule 2 of the Australian Consumer Law, in particular Sections 51 to 53, 64 and 64A of Part 3-2, Division 1, Subdivision A of the Competition and Consumer Act 2010 (Cth), Shamanic Dragon’s liability for any breach of a term of this agreement is limited to: the supplying of the goods or services to you again; the replacement of the goods; or the payment of the cost of having the goods or services supplied to you again. Physical goods may be delivered by Australia Post and/or other reputable courier companies. Deliveries are processed promptly upon receipt of full payment. Delivery may take between 2 and 14 days, depending on the delivery option. Damaged or lost orders should be resolved with Australia Post or the courier company directly and we are not responsible for goods that are damaged in transit or not received. Replacement of damaged or lost items is made at the discretion of Shamanic Dragon. Shamanic Dragon handles returns and processes refunds in accordance with the Australian Consumer Protection legislation. Should you wish to return your order, or cancel attendance to one of our events, please notify us within 14 days of purchase with a valid reason for return. If we are unable to resolve your complaint or further assist you, we will process a refund upon timely receipt of the goods purchased. Unopened goods will be refunded in full. Refunds will be processed promptly and payment made by the same method that you made payment. All refunds are made at the discretion of Shamanic Dragon. Shamanic Dragon may from time to time provide on its website, links to other websites, advertisements and information on those websites for your convenience. This does not necessarily imply sponsorship, endorsement, or approval or arrangement between Shamanic Dragon and the owners of those websites. Shamanic Dragon takes no responsibility for any of the content found on the linked websites. Shamanic Dragon’s websites may contain information or advertisements provided by third parties for which shamanicenergytraining.com.au accepts no responsibility whatsoever for any information or advice provided to you directly by third parties. We are making a ‘recommendation’ only and are not providing any advice nor do we take any responsibility for any advice received in this regard. To the fullest extent permitted by law, Shamanic Dragon absolutely disclaims all warranties, expressed or implied, including, but not limited to, implied warranties of merchantability and fitness for any particular purpose. Shamanic Dragon gives no warranty that the documents, goods or services will be free of errors, or that defects will be corrected, or that our website or its server is free of viruses or any other harmful components. It is your sole responsibility and not the responsibility of Shamanic Dragon to bear any and all costs of servicing, repairs, or correction. The applicable law in your state or territory may not permit these exclusions, particularly the exclusions of some implied warranties. Some of the above may not apply to you but you must ensure you are aware of any risk you may be taking by using this website or any products or services that may be offered through it. It is your responsibility to do so. You may change your details at any time by advising us in writing via email. All information we receive from our customers is protected by our secure servers. Shamanic Dragon’s secure server software encrypts all customer information before it is sent to us. Furthermore, all customer data collected is secured against unauthorised use or access. Credit card information is not stored by us on our servers. shamanicenergytraining.com.au may be required, in certain circumstances, to disclose information in good faith and where shamanicenergytraining.com.au is required to do so in the following circumstances: by law or by any court; to enforce the terms of any of our customer agreements; or to protect the rights, property or safety of our customers or third parties. If you are in the business of creating similar documents, goods or services for the purpose of providing them for a fee to users, whether they be business users or domestic users, then you are a competitor of Shamanic Dragon. Shamanic Dragon expressly excludes and does not permit you to use or access our website, to download any documents or information from its website or obtain any such documents or information through a third party. If you breach this term then Shamanic Dragon will hold you fully responsible for any loss that we may sustain and further hold you accountable for all profits that you might make from such unpermitted and improper use. Shamanic Dragon reserves the right to exclude and deny any person access to our website, services or information in our sole discretion. Shamanic Dragon expressly reserves all copyright and trademark in all documents, information and materials on our website and we reserve the right to take action against you if you breach any of these terms. These terms and conditions represent the whole agreement between you and Shamanic Dragon concerning your use and access to Shamanic Dragon’s website and your use and access to the documents and information on it. No other term is to be included in this agreement except where it is required to be included by any legislation of the Commonwealth or any State or Territory. All implied terms except those implied by statute and which cannot be expressly excluded are hereby expressly excluded. Exercise and health are matters that vary from person to person. You should understand that when participating in any exercise or exercise program, there is the possibility of physical injury. If you engage in this exercise or exercise program, you agree that you do so at your own risk, are voluntarily participating in these activities, assume all risk of injury to yourself, and agree to release and discharge Shamanic Dragon, all its instructors, commentators and any associated with the shamanicenergytraining.com.au, sharonbolt.com, embodiedsoul.com.au, and theempressandthedragon.com websites from any and all claims or causes of action, known or unknown. 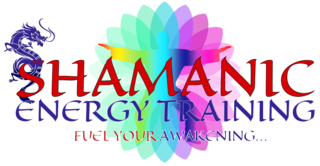 shamanicenergytraining.com.au and its contents are made available without warranties or guarantees of any kind and shamanicenergytraining.com.au, any contributing author(s) of any articles including any third party contributors, disclaim any and all liability for any type or form of injury, including personal, direct, indirect or consequential or damage of any kind or type resulting from the use of this website or from any information, advice, goods, services or other resources that may be mentioned or made accessible through this website. This includes personal physical injury from performing any exercise described, or any and all forms of injury and/or damage to person, both animate or inanimate, mental, physical, electronic or any and other form of injury. We also disclaim liability caused by intentional or unintentional negligence. All information contained on our websites, including information relating to medical and health conditions, products, treatments and nutrition is for informational purposes only. The content is also not intended to be a substitute for professional training, nutrition, diet, health, wellness, fitness, training tips, eating disorders, related issues or any other form of advice. When in doubt, consult your primary care physician, registered dietician or another certified professional. By using our services, you agree that shamanicenergytraining.com.au is not to be held liable for any decisions you make based on any of our services or guidance and any consequences, as a result, are your own. Under no circumstances can you hold Shamanic Dragon and liable for any actions you take nor can you hold us or any of our employees liable for any loss or costs incurred by you as a result of any guidance, advice, coaching, materials or techniques used or provided by shamanicenergytraining.com.au. All our information on both the website and in consultations is intended to assist you and does not in any way, nor is it intended to substitute professional, financial or legal advice. Results are not guaranteed and Shamanic Dragon takes no responsibility for your actions, choices or decisions. This agreement and this website are subject to the laws of VIC and Australia. If there is a dispute between you and shamanicenergytraining.com.au that results in litigation then you must submit to the jurisdiction of the courts of VIC. By placing this order, you signify your acceptance of these terms and conditions. For the purposes of these terms and conditions, “Us”, “Our” and “We” refers to Shamanic Dragon PTY LTD trading as Shamanic Energy Training and “You” and “Your” refers to you, the client, visitor, website user or person using our website and purchasing a payment plan. Signing up for a package creates a recurring payment of the same amount each month on roughly the same business date each month. The period of Eligibility is 6 months from initial sign up; unless a longer or shorter term is agreed in writing. This means you will need to ensure that you have booked your sessions within the Eligibility Period. The period of Eligibility is 12 months from initial sign up; unless a longer or shorter term is agreed in writing. 2019 membership and Payment Plans are valid only for events and classes in that year. Should you subscribe later in the year, then you will be eligible to attend the appropriate workshops for 2020. To be eligible to attend events and classes you must have either an active subscription or one that has completed all of the payments. Note, if you need more flexibility with events and have already enrolled on events for 2019, before deciding on a payment plan, we will make the necessary adjustments to your payment plan to accommodate fees already paid. If you have paid in full and have issues with using your code, please call Joseph on 0499619244 for assistance in booking eligible sessions. You are responsible for booking your own sessions and enrolling yourself on eligible events using the subscription code that you will receive after purchase. This is necessary to ensure you have read and agreed to the terms and conditions of each event or session. You agree to read and accept the terms and conditions for each event or session you enrol on. You have a right to cancel your subscription within the first 2 months of signing up. Should you cancel your subscription before completing all of the agreed payments, your credit card will be charged the remaining balance for events that you have attended at the full price of the event. Example: if you cancel and have only paid $400 and attend 2 $500 events, you will be charged the remaining $600 immediately upon cancelation or at an arranged time period. There are times when credit or fund issues cause your credit card company to reject a scheduled payment. This will immediately cancel your subscription and you agree to making contact with us to add new or different credit cards to the system to continue your plan. We will notify you if this happens. You agree that card cancellation does not diminish your obligation to pay the fees that are owed. We will honour a full refund should you not attend a single event during the year having signed up to a subscription. If you have attended at least one event then the following will apply. If you are unable to attend an event that you sign up for, and have given adequate warning, we will let you attend the same event next year free of charge - at our discretion. You may nominate another suitable candidate, to attend an event instead of you, for which we will hold you solely accountable - we reserve the right to refuse that candidate. If you sign up to an event and are a no show, you will not receive a credit for not attending and you will loose eligibility to attend such an event. In the event of loosing eligibility to attend an event, you may use your purchase towards another suitable event or treatment at our discretion. If you decide to change the type of events you are eligible to attend; or add additional events to increase the plan, or would like to remove an event in favour of receiving an additional healing session, then notify [email protected] of your requirement. This will be possible at our discretion. Shamanic Energy Training, Source Medicine and Embodied Soul information, techniques taught, and advice given, are intended for educational purposes only. It is not intended to replace the services of your physician, or to provide an alternative to professional medical diagnosis or treatment. It is not intended to provide an alternative to all other relevant professional advice. It is not intended to take you away from your current health programme. It is not intended to diagnose, treat, cure or prevent any disease or condition. If you think you have any type of medical condition you must seek advice from your physician. You should always consult your physician and other relevant professionals before taking any advice from us, practising any technique or applying any information from us. Your safety is our priority. You are responsible to make the final judgement to determine whether the environment, condition and situation (personal or environmental) are safe for you to practice, or continue to practice any technique you learned from us. Shamanic Dragon practitioners are not responsible and have no liability whatsoever for any damage, injury or negative effects relating in any way to the application of the information provided by our courses and sessions.